On the fringe of the Macedon Ranges the farm is located within close proximity to Victoria’s main studs including Woodside Park Stud, Sun Stud and Stockwell Stud, and less than an hour and a half away from Seymour based studs including Chatswood Stud, Darley and Swettenham Stud. The farm is well known for its quality pastures all year round. Our pastures are maintained by regular rotations, and under-grazing, complemented by fertilising and weed eradication. We retain a healthy cover of green grass even during the hotter months, due to our specially designed maintenance and irrigation systems. No expenses have been spared to build the safest of fences. Our fences have been constructed with the traditional timber posts and rails, and state of the art diamond mesh wire. Our paddocks are all double fenced and include a solid shelter and trees for shade. The landscape of the farm includes big undulating hills as well flat plains, catering for all horses needs. 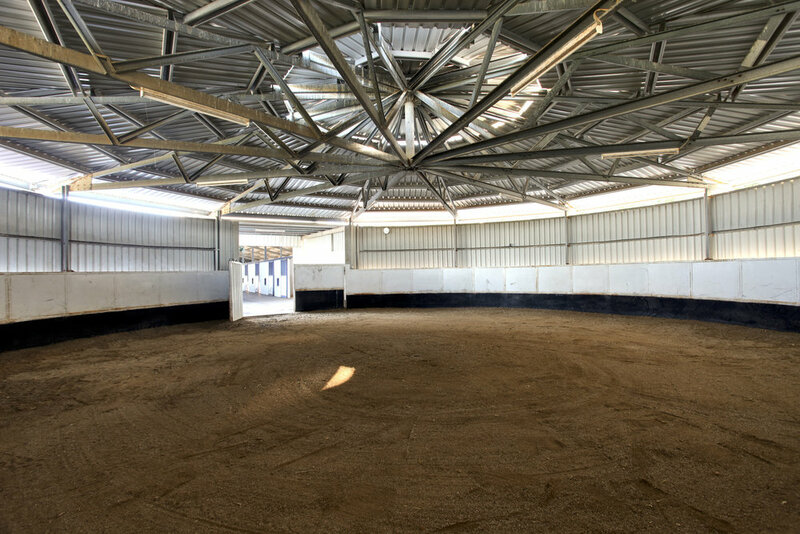 Our proximity to leading studs, and our plentiful pastures and superior fencing makes Cityview Farm the ideal seasonal or permanent base for your mare.